Only in Boulder will you find an event like this one. 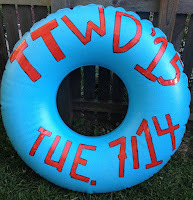 Tube to Work Day returns for the eighth time to Eben G. Fine Park at 8am sharp this Tuesday, July 14th, with the predicted number of tubers surpassing the 40 total participants last year. 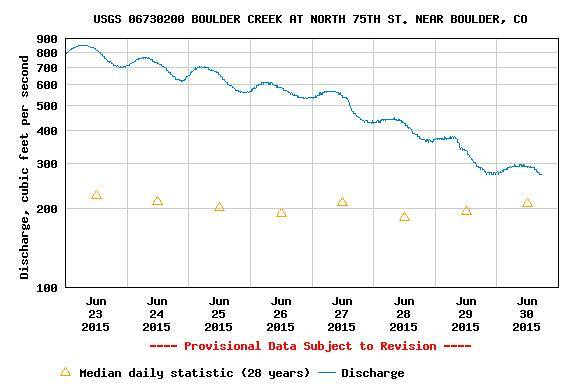 Since 2008 when two friends started the summer holiday- where morning commuters throw on a wet suit or some business attire (or both), bring their favorite tube, plunge in Boulder Creek at the start of the event near 3rd and Canyon, and climb out any point eastward nearest their place of employment- it’s done nothing but pick up momentum. And with above average flow this year (see chart below), tubers can expect to move a little quicker on their morning commute. Due to the event’s spirit of promoting alternative transportation, “tubing to work pioneers” encourage participants to use a method other than their car to get to the Eben B. Fine drop-off point at 8am and again when they unload from the creek to travel the remaining distance to their place of business. Coffee and Breakfast? You bet! Make sure to stop at the Boulder Creek shore near Broadway Avenue to energize with a cup of joe and morning snacks from Logrhythm, a local cyber-security company. 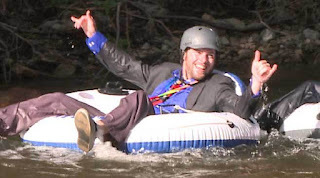 Just a reminder, the most experienced creek tubers recommend wearing a helmet if you plan on floating down the roiling obstacle course that is Boulder Creek. And, as the co-founders remind, this event is the polar opposite of “Bring Your Kids to Work Day,” so leave the young ones at home for their own safety. Whether you plan to float to the office on Tuesday or not, you’re eligible to enjoy these great deals in our Sporting Goods Department! Save almost 40% on our most popular creek tube. * Not all products from these lines are live on our new website yet- so stop in the store if you don’t see what you’re looking for! This sale runs this Saturday (July 11th) through Tuesday (July 14th). To visit Tube to Work Day’s Facebook page, click here. For Wednesday’s Daily Camera article about Tube to Work Day, click here.